Sao Tomé and Principe should adopt legislation to restrict the use of firearms by law enforcement officials as international law requires. Police use of a firearm is only permissible where necessary to confront an imminent threat of death or serious injury or a grave and proximate threat to life. The Constitution does not address the police or other law enforcement agency. Law enforcement in Sao Tomé and Principe is primarily the responsibility of the Public Security Police (Polícia de Segurança Pública), although the armed forces sometimes conduct law enforcement tasks. In 2004, a paramilitary group trained by Angola was introduced into the country. (b) To overcome resistance to the execution of a police officer in the exercise of his duties, after exhausted other means to achieve this. 2. The use of firearms and explosives shall be governed by a specific Diploma for employees and agents of the Security Forces. Sao Tomé and Principe has no independent civilian police oversight body. Sao Tomé and Principe has not yet appeared before either the Human Rights Committee or the Committee against Torture. 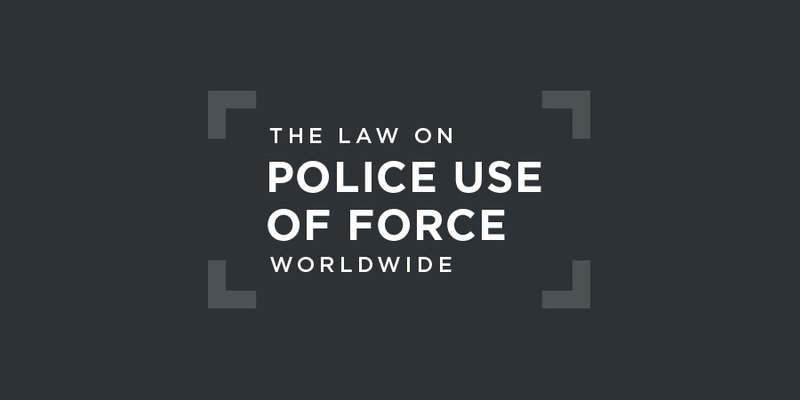 The country's most recent Universal Periodic Review under the UN Human Rights Council did not address police use of force. Sao Tomé and Principe has not ratified the Protocol to the African Charter on Human and Peoples' Rights, allowing the African Court to hear cases alleging a violation of the Charter by the state.